People assume that residential and commercial plumbing are one in the same, which can be true to a certain extent. They both use the same kinds of material and they both fulfill the same basic function. Commercial plumbing services are provided by the same companies that provide residential plumbing services. However, there are a few distinctions that a good service understands, and which they will address when dealing with a commercial plumbing project. The most obvious difference is in the size and extent of commercial plumbing, which often requires a lot more pipes and outlets than residential plumbing. Businesses need to provide toilets and sinks for both their customers and their employees, which means a hugely increased demand that residential systems don’t have to support. Residential plumbing usually entails no more than two floors’ worth of plumbing. An office building usually has multiple stories, all of which require sinks, toilets and the like. Gravity plays a huge role in functioning pipes, and water pressure is more important in buildings with multiple stories. A good plumber understands that when taking on a commercial job. Residential plumbing tends to encounter variations of the same basic issues. Commercial plumbing, on the other hand, faces a wide variety of issues, which requires an understanding of a larger number of solutions. Plumbers need to be up on a larger number of codes, and be prepared for problems that may never occur in residential settings. Residential plumbers have the skills and know-how to handle most problems in the home, but if you encounter an issue at work, you need an expert who can handle the size, scope and variety of issues presented by a commercial plumbing system. Plumbing services are handled by Gold Star Plumbing with the expertise and know-how to do the job right. 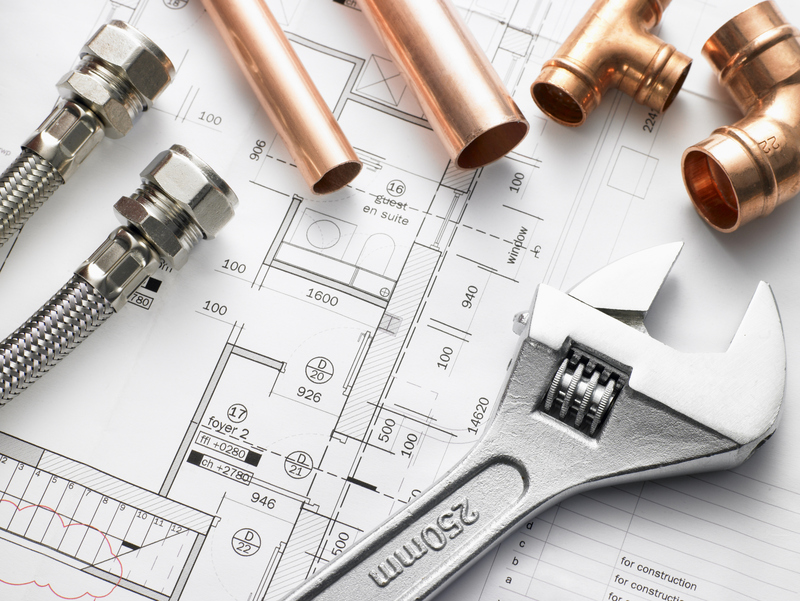 If your business is dealing with plumbing issues, then give us a call and put us to work. We’re dedicated to your complete satisfaction and we have the skills to deal with the problem properly! Gold Star Plumbing services office building, business parks, stores in the strip mall, and restaurants. With Gold Star Plumbing, you will be able to work with professionals to assess, plan, and schedule maintenance to ensure that your business and property is not at risk of a plumbing disaster. For more information about residential, commercial, and industrial plumbing services call Gold Star Plumbing in Anaheim, CA at 714-624-2546 or visit www.gsplumbingservice.com. Gold Star Plumbing also proudly serves Anaheim, Orange County, Santa Ana, Tustin, and surrounding areas. This entry was posted in Commercial Plumbing Service, Residential Plumbing Service and tagged Anaheim plumbing services, commercial plumbing service, Gold Star Plumbing, Plumbing, Residential Plumbing Service. Bookmark the permalink.